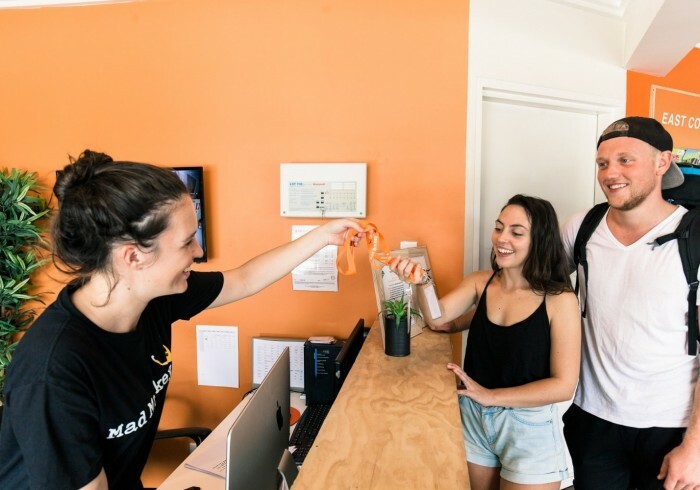 Mad Monkey Broadway is all about locations & lifestyle - stroll down to the harbour & visit the most iconic Sydney landmarks, check out some awesome hidden bars or kick back & enjoy some beers at the hipster breweries in Newtown. With the gorgeous Victoria Park located opposite, grab your towels & swimmers & head straight to the pool; or grab the yoga mats from reception to get involved with some chill time in the park. With the bus stop located just outside the hostel, you’re only a short bus ride to one of the most stunning beaches & Coastal walks Sydney has to offer; Coogee. It’s pretty hard to not make the most out of this location. This heritage building can accommodate 100 guests in a mix of private rooms & shared dorm rooms. The communal bathrooms have been finished to the highest standard & the new gaming area will be a great addition to any FIFA fan. The reception & dining area is open with modern & heritage designs mixed. Here at Mad Monkey, we are known for our family atmosphere so you are guaranteed to meet some amazing like-minded people.